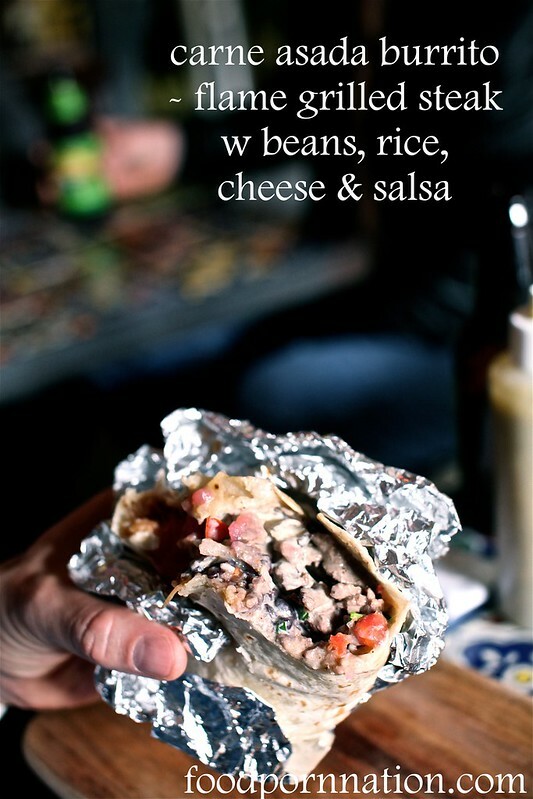 Despite all odds, the shredded pork burrito ($13) cooked low and slow gives us the strength to forge on. The pork is woody and smokey with a lovely pull apart texture that comes with each bite. The filling of beans, rice & salsa pairs well with the smokey pork making it decidedly my firm favourite. 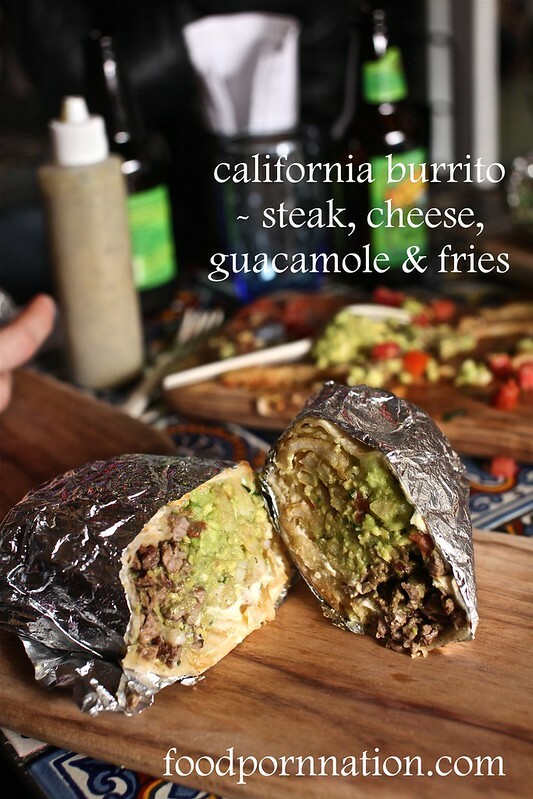 The carne asada burrito ($13) comes in for a close second and is not much different than the former apart for the flame grilled steak filling. The pork gives it its edge over the steak with its rich smokiness. The California burrito ($13) was probably the weakest of them all. 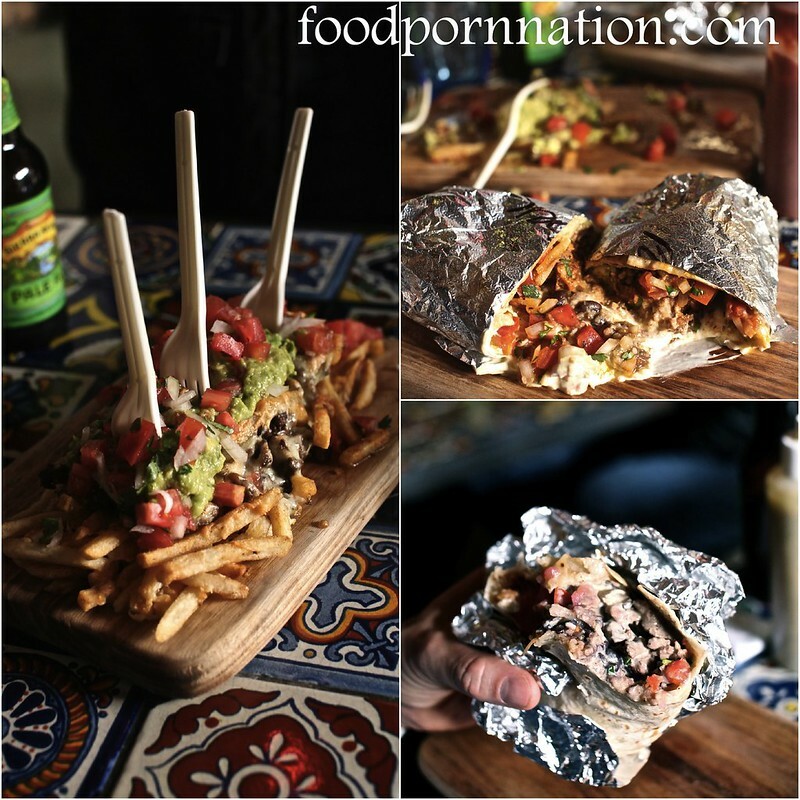 The fillings included steak, fries, cheese and guacamole and the flavours didn’t leap out at me when compared to the taste of the fillings of beans and rice served in the other burritos which truly gave it its x factor. 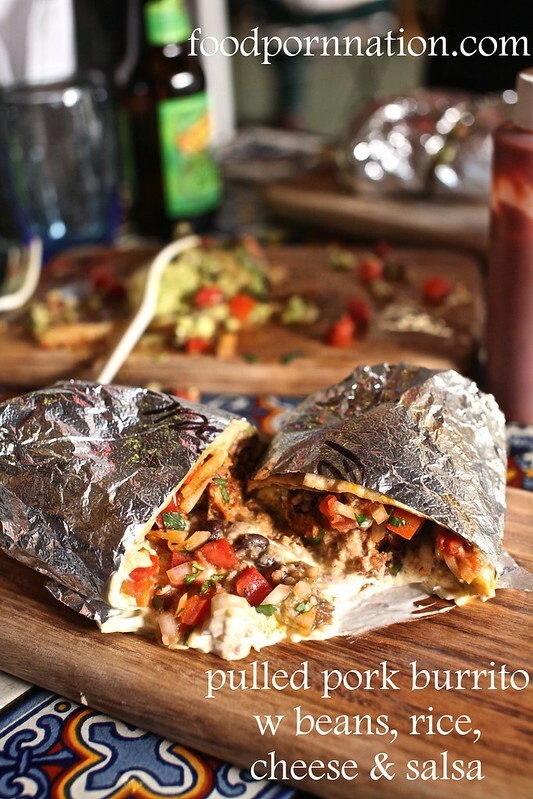 Chica Bonita is a great spot to get your drink and Mexican on. I can only imagine how busy it would get with the Friday/Saturday night crowds with its small surrounds, so it would be best to get in early and snag a spot. Servings are generous, food is good and matched with a good price point. I will definitely be back for more at night for some more food and booze. All burritos were served with sour cream at an added surcharge of $1. I wish I went when he was still there too. They are seriously SOO GOOD! So funny when we saw him, I just wanted to scream I went to chica bonita but felt extremely stalkerish! Looks like they have some pretty awesome offerings! I do have a weakness for pulled pork, so gotta try that delicious sounding burrito if I’m ever in the area! Between the fries and that pulled pork burrito you really can’t go wrong. 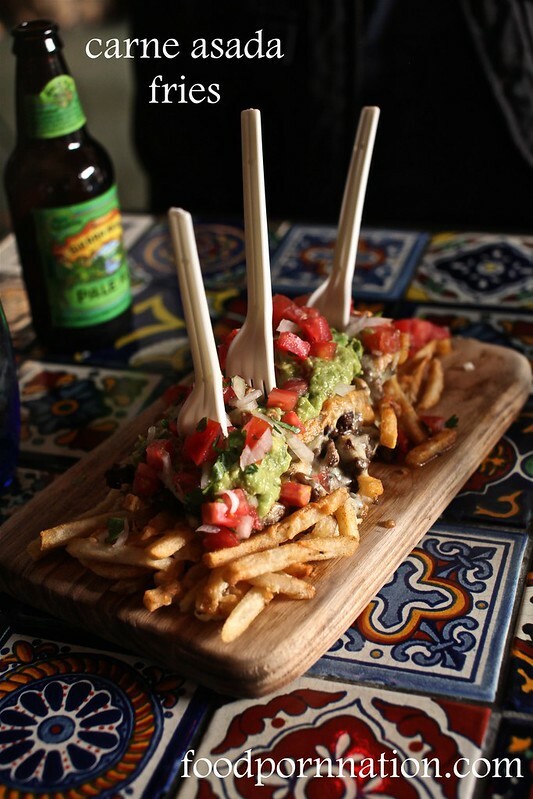 Holy moly – I want those fries! Oh wow, finally some good Mexican to get my hands on! This all looks really good and I get all girly like around a burrito 😛, especially one packed full like these. Normally I go for chicken however the steak looks so finely diced it ma sway me over. hahaha you are too funny Trent! Yes you will love this place. I’m more of a beef girl myself! carne asada fries?! yes please!!! they’re as good as they look! the carne asada fries are insane! Oh Mexican food! Sadly I haven’t had any great experiences so will be keeping this one in mind! 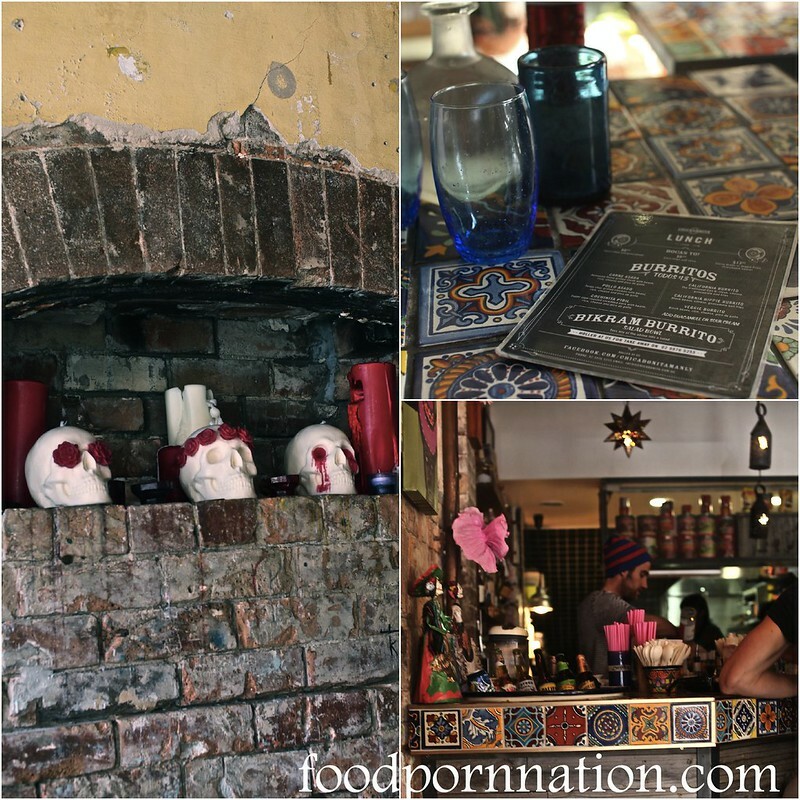 There’s a new Mexican place in Surry Hills that used to be District Dining (it’s run by the same people), if you ever get the chance to check it out I would love to know how it is! Thanks Soth! I will definitely have to check it out. I will need to figure out what they’re called. I was there @ Manly a month ago… I could not even find this place! I saw # 8 but looked around well & no signs of # 7 or the store signage! I’ll be back in the area hopefully on a weekend though to give this a go.